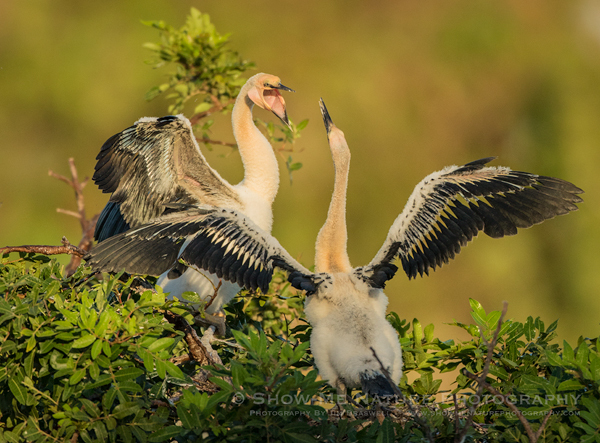 Today’s Fun Friday post comes from the Venice Rookery (Florida) and features a pair of juvenile Anhingas having a sibling dispute in their nest at the rookery. While most of the birds at the rookery were busy building their nests, and a few even involved in mating, the Anhingas, along with the Great Blue Herons, are some of the earlier nesters. Won’t be too long until these two Anhingas complete their feather development and fledge the nest. Tags: 2018, anhinga, behavior, bird photography, birding, birds, birdwatching, Blog, cute, Florida, nature, nature photography, photography, travel, Venice Rookery, winter.